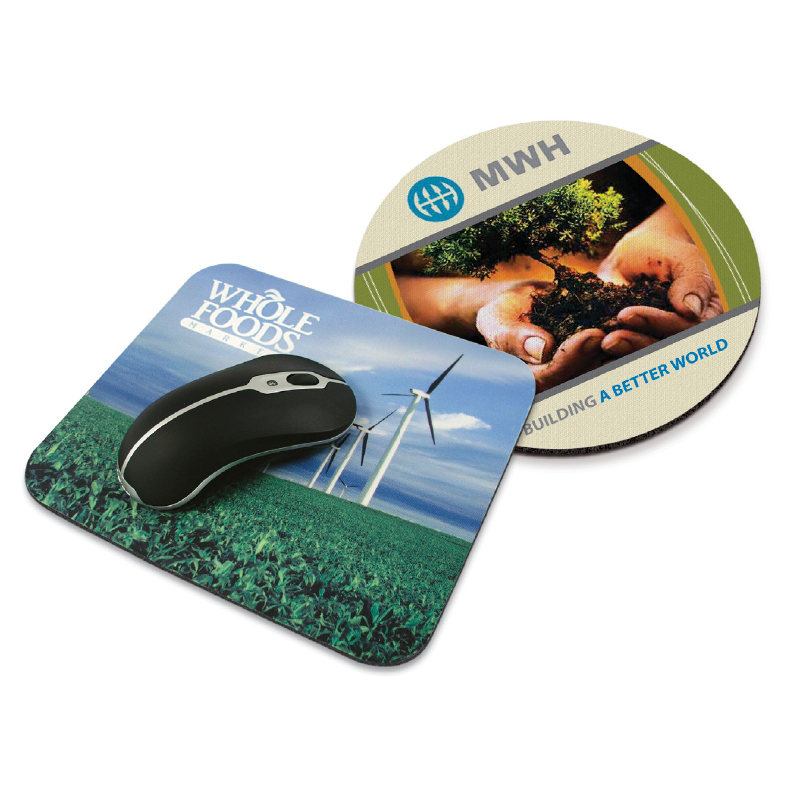 The eco friendly mouse mat has a soft polyester surface that provides ultra-smooth mouse tracking. It has a non-skid rubber back made from recycled materials. Square: 8 3/4" W x 7 7/8" H x 1/8" D.
Colors Available: Full Color Sublimation.